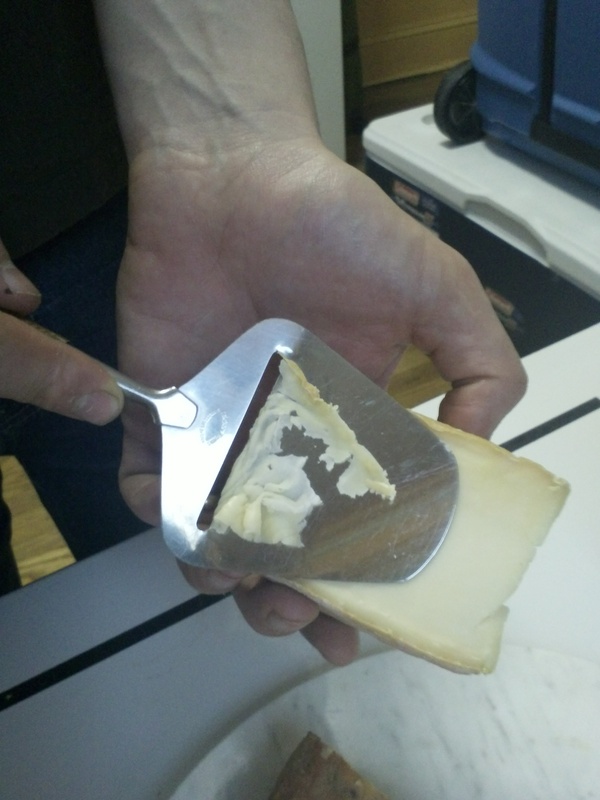 This entry was posted in Uncategorized and tagged American Cheese Society, cheese, cheesemonger, fromage by The Cheese Traveler. Bookmark the permalink. My #1 question at cheese events when pushing my book was, “What kind of cheese do you make?” My auto google search for “Cheesemonger” (Which is how I found this post. Hi) Shows a common use of cheesemonger for “cheese enthusiast as well. Thanks for putting it out there. You’re welcome, Gordon. It is probably our most common question other than “where are you located?” since we are working on opening our shop, while we are mongering at farmers’ markets. Thanks for letting us know how you found the post too!